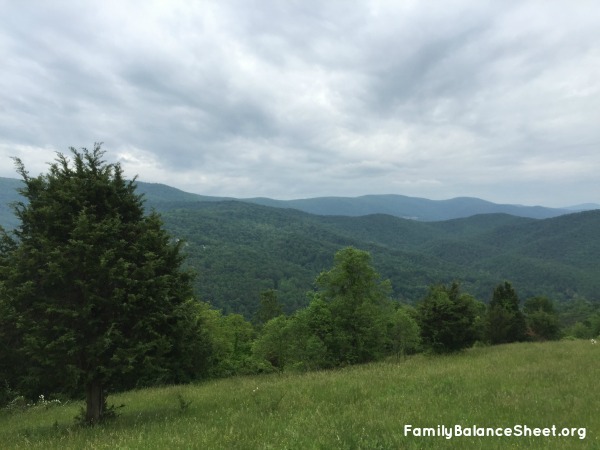 If you love the outdoors, you will love the Shenandoah Valley in Virginia. My family spent a recent weekend seeking adventure there with with my daughters’ Girl Scouts troop. 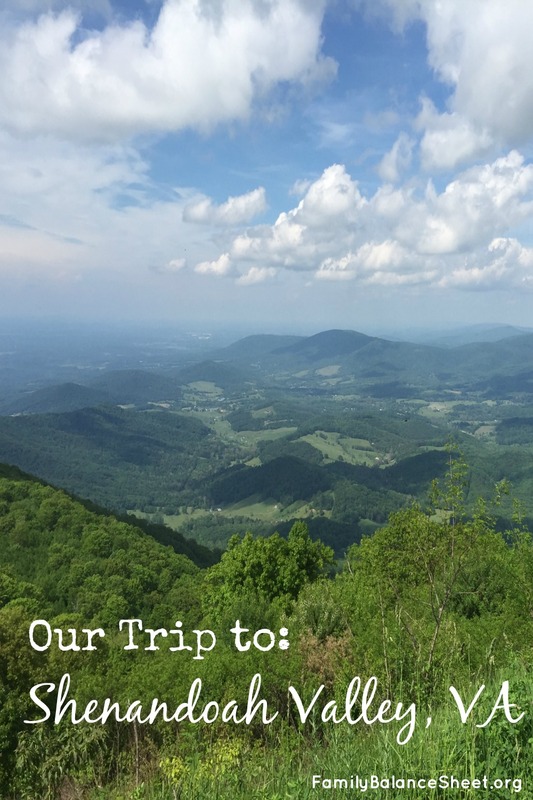 We rode horses to the top of the Blue Ridge mountains, zipped down Bear Mountain, and meandered through underground caverns that were formed millions of years ago. 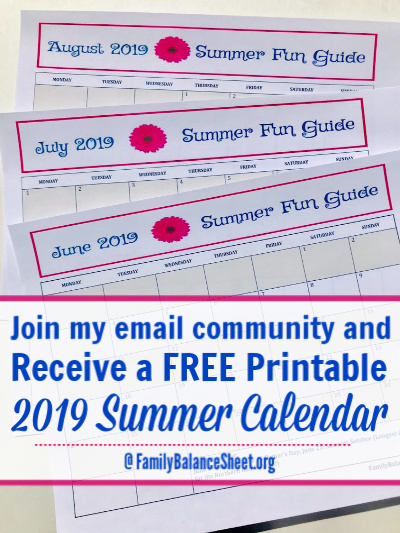 We had such a delightful trip and if you love action packed getaways, I would encourage you to make the Shenandoah Valley a destination for your family. The walking path inside Luray Caverns. 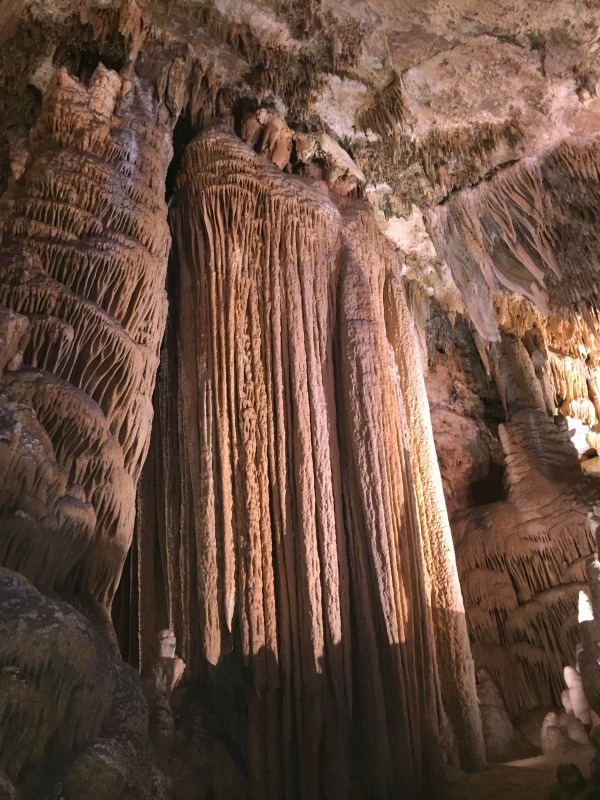 Located in Luray, VA, these caverns were discovered by a tinsmith in 1878. 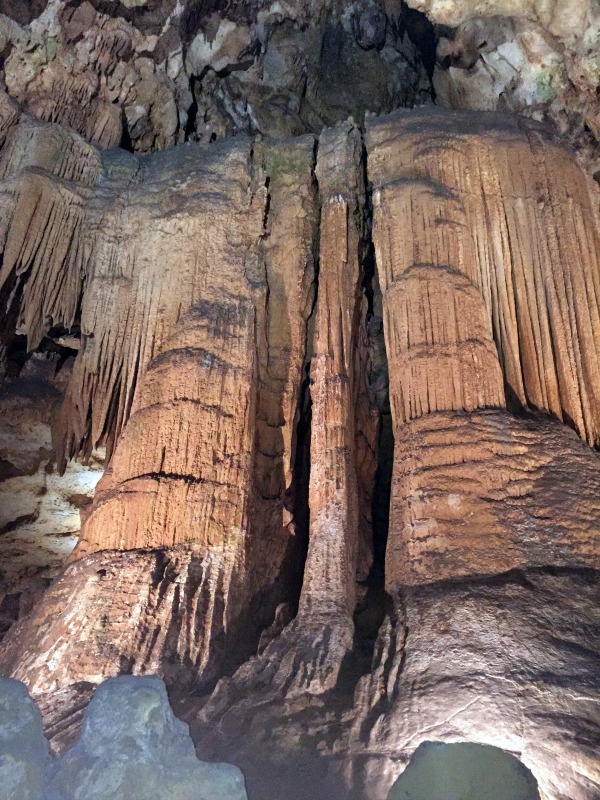 Today, you can take a guided walking tour through the caverns that I found both eerie and fascinating. The captivating tour takes about an hour and is a little over a mile in length. The caverns are a constant 54 degrees with very high humidity that makes it feel more like 65 degrees. We went on a very hot day, so the caverns felt just right. 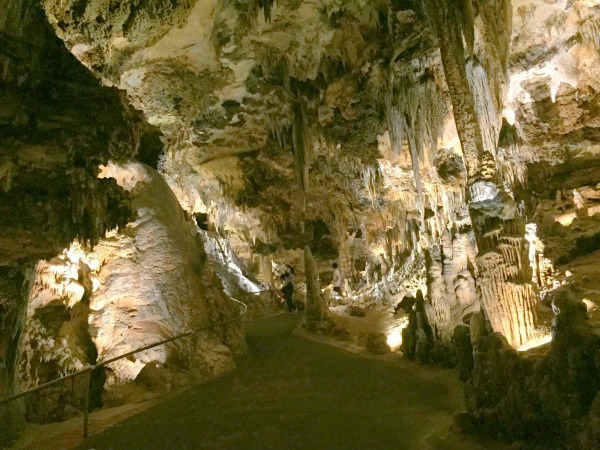 The general admission price includes the guided caverns tour, the Car & Carriage Caravan Museum, and Luray Valley Museum. There are other attractions available at the caverns for an additional fee, such as a Garden Maze, Gem Finding, and a Rope Adventure Park. Fortunately, we were part of a large group, so we were able to take advantage of the group rates, which saved us considerably. Skyline Drive is a 109-mile road that runs the entire length of the Shenandoah National Park, in the Blue Ridge Mountains of Virginia. Along the drive you’ll find 75 overlooks along the crest of the mountains that offer breathtaking views, 4 campgrounds, and many hiking trails. There are 4 entry/exit points along Skyline Drive and the cost to get into the park is a $20, but that fee is good for 7 days with your receipt. We paid the admittance fee and drove a good portion of the drive, but didn’t get to all of it. 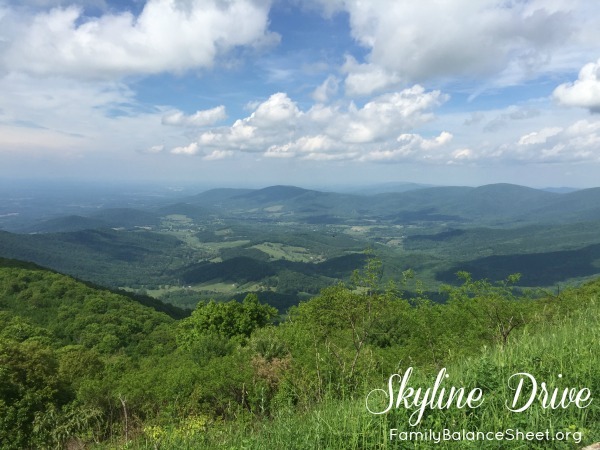 Skyline Drive is a winding mountain road that is often just one lane each way. Beware, traffic can come to a quick halt when there’s a bear spotting. 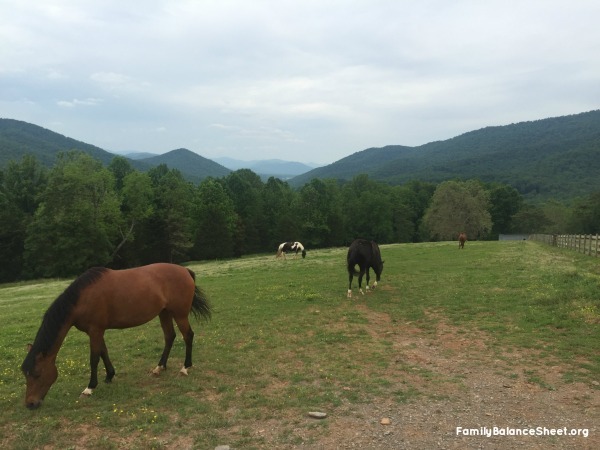 Mountaintop Ranch is located high in the Blue Ridge Mountains overlooking the Shenandoah Valley and Shenandoah National Park. 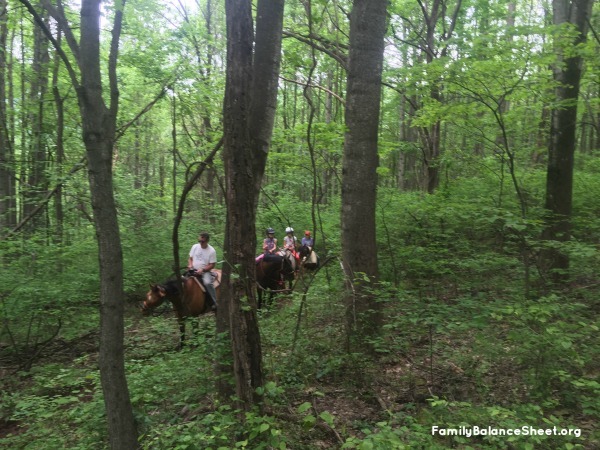 This ranch offers guided wilderness trail horseback rides. The horses were gentle, and the guides, Chris, Karla and their 4 children, were patient and knowledgeable. The trail ride was beautiful, but challenging. There were some steep and narrow trails, but those horses knew exactly what they’re doing, so even the novice horse rider like myself could enjoy the beauty along the trail and the stunning view at the top of the mountain. I have little experience with horses and in fact, they intimidate me, but our trail riding tour was one of the highlights of our trip. Giddy up! Ready for my riding tour. 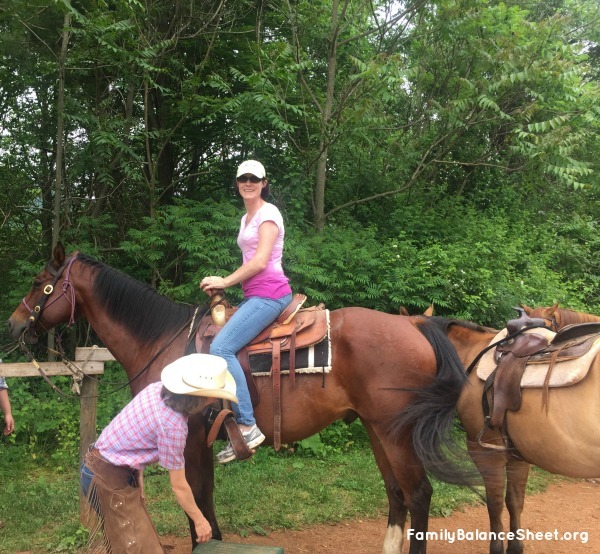 I highly recommend Mountaintop Ranch for their Guided Wilderness Trail Horseback Riding. 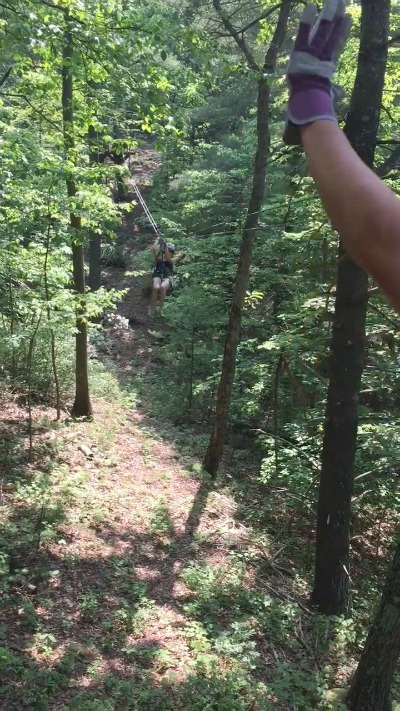 This was my first time ziplining, so I wasn’t quite sure what to expect, but the guides and staff at Bear Mountain Adventure were experienced and knowledgeable. In fact, zipping down the mountain was quite a thrill. 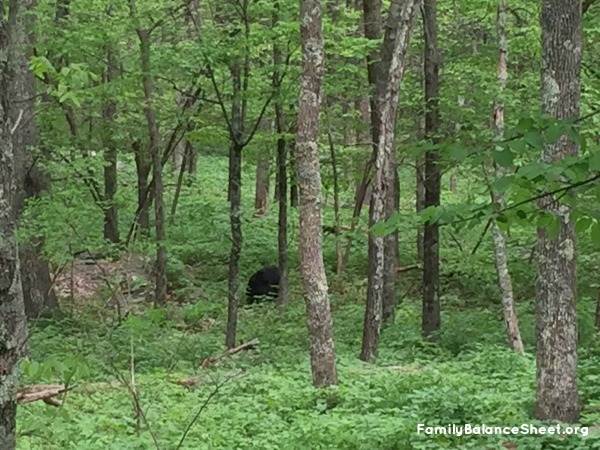 The largest zip line at this facility is called Mama Bear. It includes 7 ziplines, for a total of 2700 ft of line racing through the forest canopy at up to 35 miles an hour. The last 1000 ft stretch brings you out over a meadow to land on the tower above our 3-story Bear Scramble climbing wall. To get started, we loaded onto a wagon and the tractor took our group up a mountain road to the top. We were then given instructions regarding the zipline safety gear and procedures. There is a small training zip line and then it was show time! According the the website, the professional guides have all been trained according to Association of Challenge Course (ACCT) requirements. 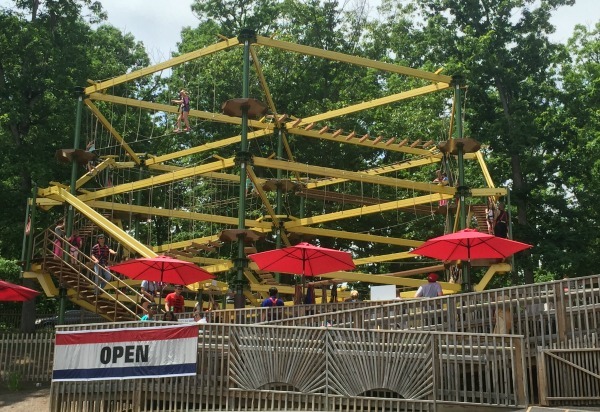 There is also a smaller course, Baby Bear High Ropes course, designed for ages 5+ who are at least 36″ tall and 40 pounds and maximum of 250 pounds. Sadly, I wasn’t wearing shorts with deep pockets, so I didn’t take my camera up the mountain, because I didn’t want to lose it. Fortunately, another person on my trip had his phone and took a few videos. 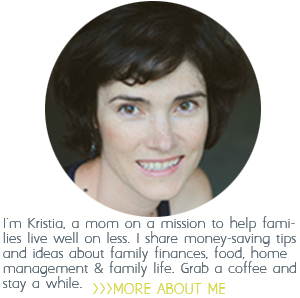 The above pic is a screen shot. With only three days for our trip, we didn’t even come close to seeing everything the area has to offer. My husband and I talked about heading back some time with our pop-up camper to stay at one of the campgrounds in the area. It looks beautiful there and looks to be a nice place to visit. 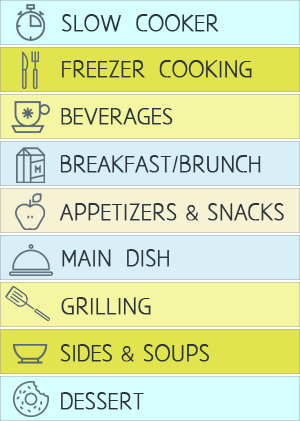 We haven’t been to VA before butbifbwe ever venture to that area but might be a good place to check out!